Cream glazed earthenware stopper with threaded neck and decorated rim. 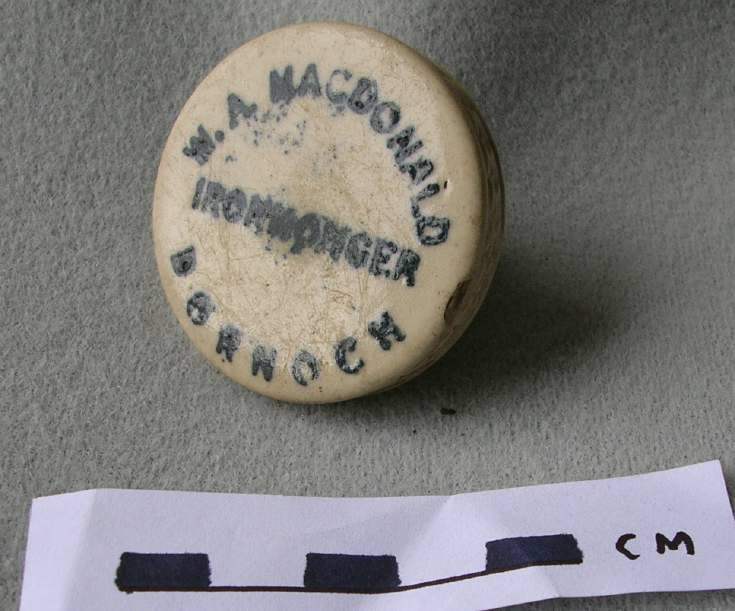 Top stamped W. A. MACDONALD IRONMONGER DORNOCH. Found by Burnett grandson.